Be sure to keep checking your UNCW e-mail for additional orientation information. It is very important to check your dates! Many students register for Orientation without considering graduation rehearsals, vacations, and other conflicts. Reservations for Orientation cannot be made until you have paid the $100 enrollment fee. You must wait 24 hours after paying the enrollment deposit to sign-up for orientation. UNCW employees should check with Human Resources about special benefits for faculty, staff and their dependents prior to submitting an Orientation reservation for yourself or your child. Click here to follow the process to complete an Undergraduate Orientation Fee Waiver. No refund will be given if we do not receive your form before your reservation is made. Many students register for Orientation without looking at graduation rehearsals, vacations, and other conflicts. Changing sessions is easy! Please note that you must change sessions before the stated deadline. Log-in to your mySeaport with your UNCW username and password. If a student is logging in for the first time their password will be their 8 digit birthdate (i.e. 01011990). Click on the Teal Ticket tab at the top. Click on Register for Your Required Orientation. You will be brought to the VisualZen Orientation Registration system. Once in VisualZen Orientation, click on Dates on the left-hand navigation. Depending on available seats, you can pick any open Freshman session. If a desired session is full, you can check back regularly to see if spots have opened. There is no waitlist option for closed sessions. If the payment is the same as your last session, no additional payment will be due. If any changes incur additional fees, those will need to be paid by the deadline for students to be successfully registered for Orientation. If you receive an account credit, you will need to follow the refund request process before the refund request deadline. The family and guest Orientation program is optional. You can learn more about the program before registering here. Many family members and guests decide they want to attend Orientation after the student has already registered. Adding a family member or guest is easy! Once in VisualZen Orientation, click on Guests on the left-hand navigation. Click on the icon of a person with a green plus sign where it says "Add a Guest". Fill out the necessary information for your guest. All guests will receive their own registration confirmation to the e-mail that is provided. Adding guests will generate additional fees so when you click "add", your balance will increase. All fees need to be paid by the stated deadline for registration to be complete. If you wish to add more guests, click on the icon of a person with a green plus sign where it says "Add a Guest" and go through the same process again. 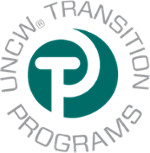 Students and families desiring a Spanish translation of the Orientation materials can download the New Student Orientation guide on the UNCW Guide App and click on the Español tab. Translations have been provided for Family sessions. For information regarding refunds, visit here.